The 19th century Ritz Carlton Moscow on Tverskaya is an architectural ode to Imperial Russia: the vast, gilded lobby is filled with fine paintings and sculptures; impressive crystal chandeliers sparkle; liveried gentlemen wait to greet you at the door; and even sitting on a well-stuffed silken sofa feels like it is a special occasion. 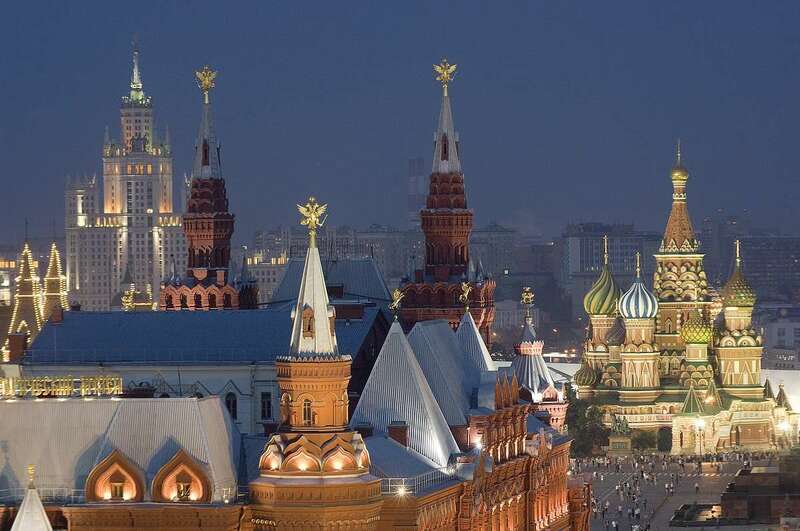 The entire hotel is a celebration of Russian culture at its very best. Even if you’re not staying at the Ritz Carlton, be sure to visit for the newly renovated O2 Lounge, perched upon the roof. With both indoor space and an outdoor terrace, this is the place to be seen in Moscow at night: the views are second to none, and the cocktail menu is both imaginative and delicious. Dress up to the nines and come to join the city’s beautiful people! Guests who appreciate the finer things in life, from decor and service to food, and who want to be in the heart of the action, will thrive at the Ritz Carlton. 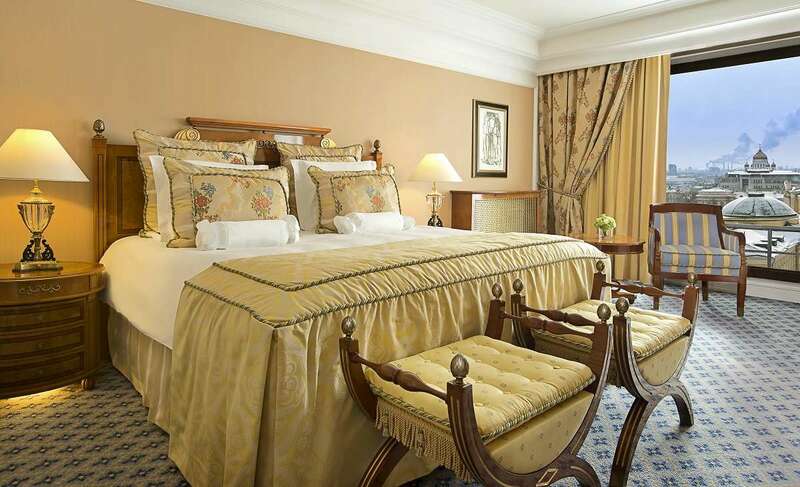 The Ritz offers some of the largest hotel rooms and suites in Moscow, all finished with marble from the Altai Mountains and Portugal. Every one of the 334 rooms are spacious and comfortable, and in many cases families can request adjoining rooms. Guests who book into the gorgeous Club Rooms also have access to a dedicated 11th floor lounge and summer terrace overlooking the Kremlin. Dining at the Ritz Carlton gives you sophisticated Russian cuisine served at Cafe Russe; the Ritz Carlton Bar and Lobby Lounge has a wine menu featuring rare vintages dating back to 1937; and Novikov is the Moscow flagship restaurant of Arkady Novikov, Russia’s most eminent restaurateur. The best drinks in Moscow are to be enjoyed in the O2 Lounge with the panorama of Moscow’s most famous sites unfurled before you. 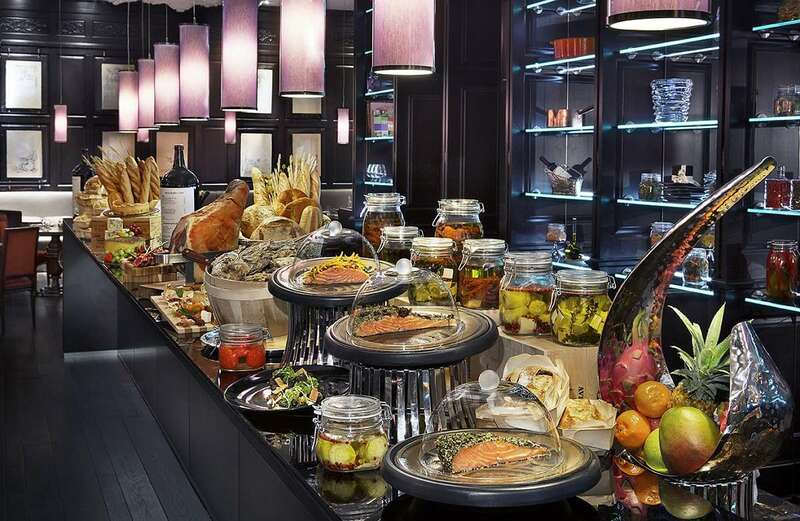 The ESPA spa and fitness centre are just as impressive as you would expect, and the hotel also offers an educational program of culinary workshops and tastings. What’s not nearby? The Ritz Carlton is a block away from the Bolshoi Theatre and on the opposite side of the street to Red Square, GUM and the Kremlin. It’s a 5-10 minute walk through the square to St Basil’s Cathedral and the Moskva River, and just one city block to the Manege Central Exhibition Hall. Designer shops and top-end restaurants are all on your doorstep too. Is the marathon running trend taking over the fitness world?